This sporty men's fragrance possesses a blend of geranium, green splash accord, pink grapefruit, tangerine, nutmeg, white musk, vetiver, amber, patchouli, frosted ginger, juniper and bergamot. The freshness of this fragrance make it ideal for hitting the gym or outdoor adventure, but it works just as well for a day at the office. 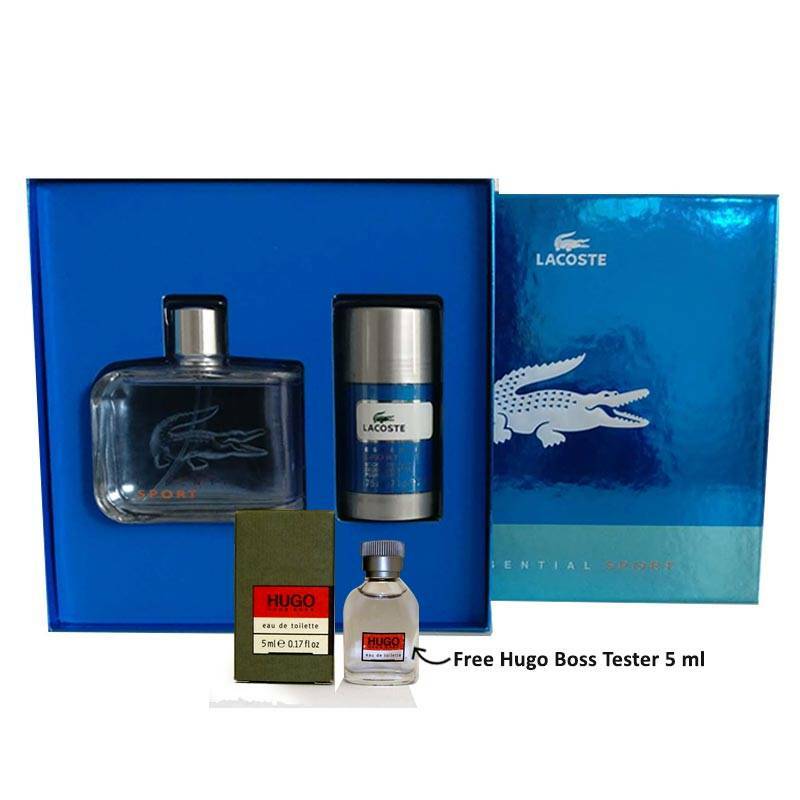 Lacoste Stick Deodorant creates an ice-cold freshness, with an energetic spice effect and wearable musks.